HELENA, Mont. (AP) — Two women who say they were sexually abused as children have alleged that the Jehovah’s Witnesses failed to report their abuser to authorities in Montana and instead punished him internally by expelling him from the congregation until he repented the following year. A trial begins Monday in the tiny city of Thompson Falls for one of dozens of lawsuits filed nationwide in the last decade over claims of child sexual abuse in Jehovah’s Witness congregations. Worldwide, there have been more allegations of mismanagement and cover-ups of sexual abuse by Jehovah’s Witness clergy and members, including cases in Canada, Australia and the United Kingdom. 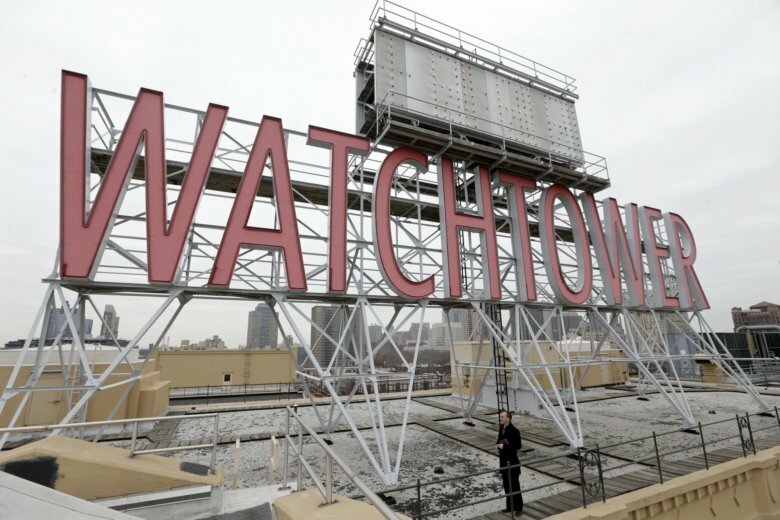 Officials at the World Headquarters of Jehovah’s Witnesses did not have an immediate comment Wednesday. A policy posted on its website says it abhors child abuse and views it as a crime. “The elders do not shield any perpetrator of child abuse from the authorities,” the policy says. The New York-based religious organization has 8.5 million members and 120,000 congregations around the world. The number of abuse lawsuits surged at about the same time as similar allegations of abuse and cover-ups within the Roman Catholic church, but the Jehovah’s Witness cases haven’t received the same national attention. The Montana trial involves two women, now 32 and 21, who are suing the national Jehovah’s Witness organization and its Thompson Falls congregation. One woman alleges a family member abused her and her brother in the 1990s. The abuse continued in the mid-2000s with the second woman, the first woman’s niece, after the congregation’s elders expelled the abuser from the congregation in 2004 and reinstated him the next year, according to the lawsuit. The church also contends that the national organization isn’t liable for the actions by Thompson Falls elders and that too much time has passed for the women to sue. The state Supreme Court this week rejected the Jehovah’s Witnesses request to delay the trial and take over the case. Both sides acknowledge that when a person is accused of sexual abuse, elders in a Jehovah’s Witness congregation are required to first contact the headquarters’ legal department to determine their next step. The organization’s policy says it will instruct elders to report the matter if a minor is still in danger of abuse or if there is another valid reason. Storey, the San Diego attorney, said that is a new policy change. Otherwise, Jehovah’s Witness elders meet as a judicial committee to investigate “the sinful conduct … and decide whether the sinner is repentant before God,” according to a description of the process provided by Jehovah’s Witnesses in court filings. In this case, the congregation was not required to report to authorities, according to Jehovah’s Witness attorney Kathleen DeSoto. “The Constitution bars the court from contradicting a religious organization on issues of religious beliefs, including canon law, church doctrine and established church practice,” she wrote in her argument to the Montana Supreme Court. Storey said the Jehovah’s Witnesses take a very broad view of laws that protect discussions made in confession or other discussions between clergy and a congregation member — broader than the law allows. “By maintaining that particular aspect of their policy, it will be difficult for them to eradicate the issue,” Storey said.